Vladimir Vukadinovic, Technology Transfer Center of University of Kragujevac. 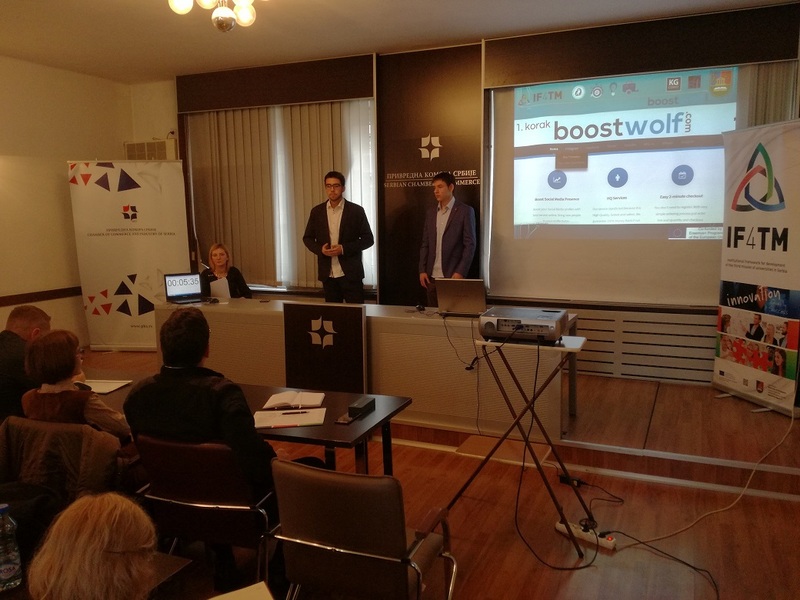 The title of the winner of the National Final Competition for Best Student Ideas went to the team Popularity Wolves from University of Kragujevac for the idea “Raising Popularity”. 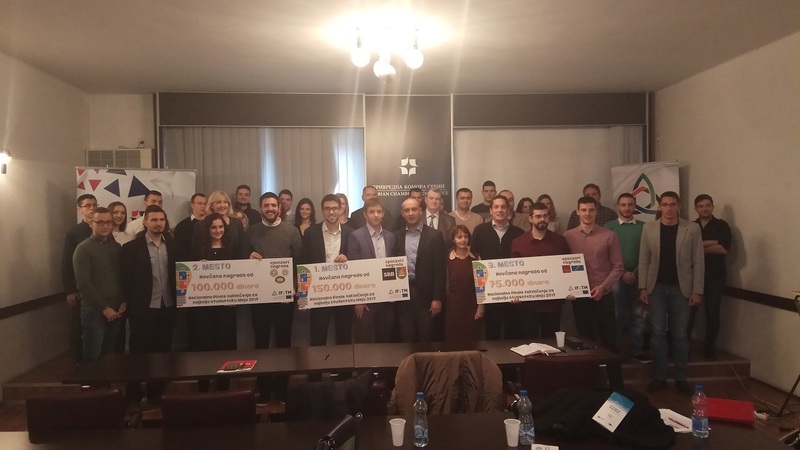 The reward for the best team was 150.000 RSD provided by the SBB Company in cooperation with the University of Kragujevac. 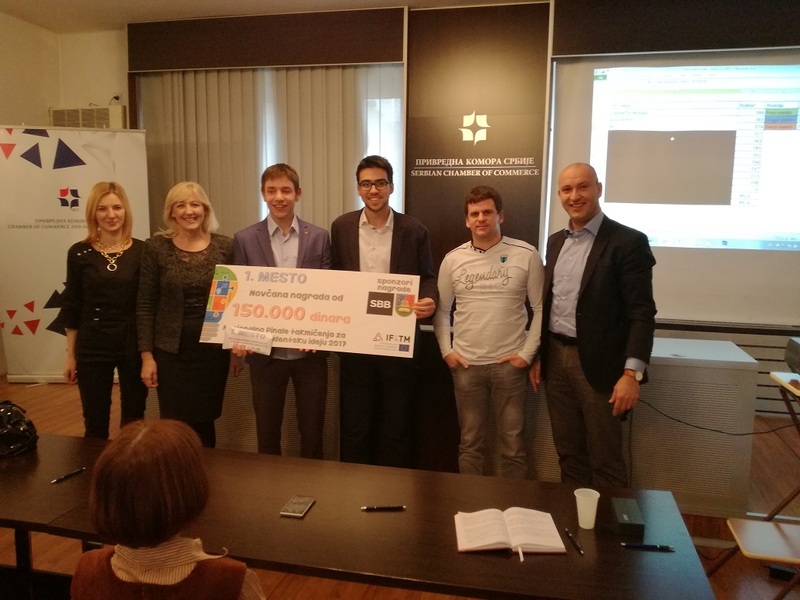 The second place was taken by Aqua Team from the State University of Novi Pazar with their idea for home based food growing system. 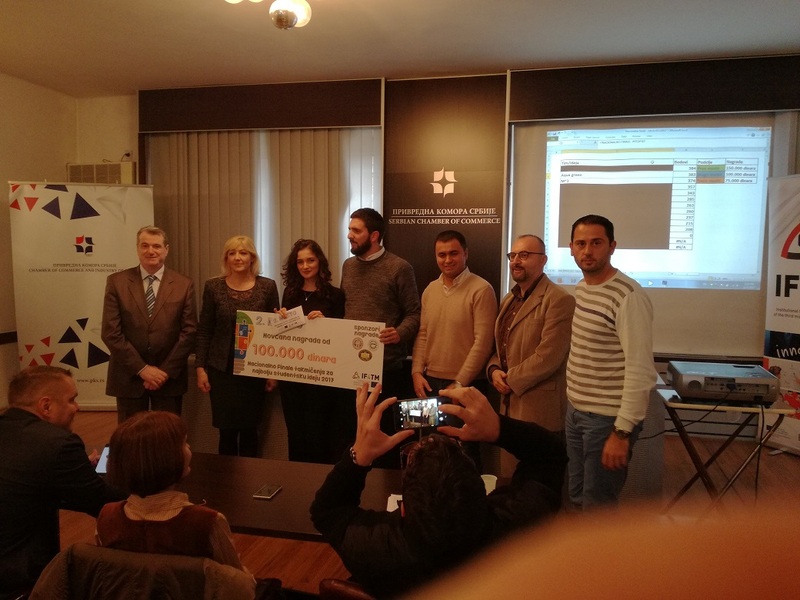 Their received the prize of 100.000 RSD provided by the project partner institutions University of Novi Sad, University of Nis and State University of Novi Pazar. 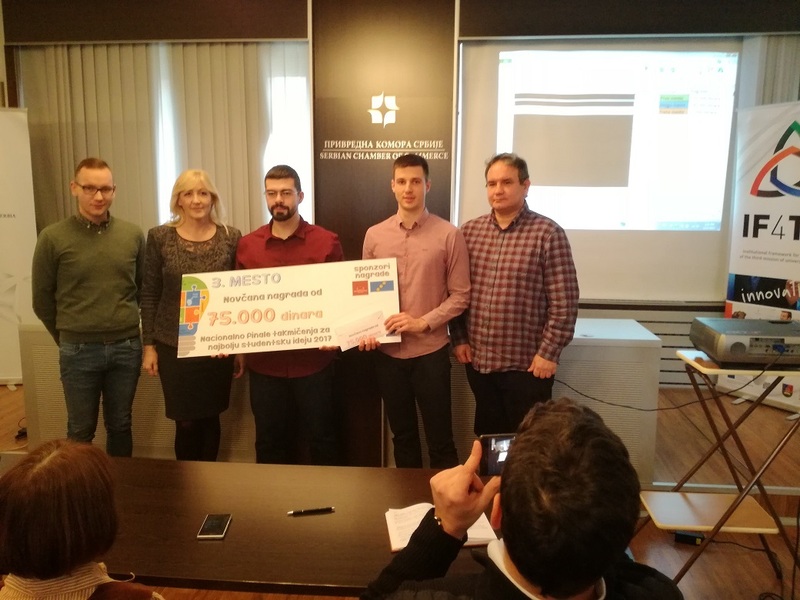 The third place went to the team M^3 from the University of Novi Sad with the idea Body Fit Monitor for which they received the reward in the amount of 75.000 RSD provided by the project partner institutions Belgrade Metropolitan University and Technical College of Applied Sciences Zrenjanin. IF4TM Consortium congratulates the winners and all participants on great ideas! Competition for best student idea The competition for the best student idea was launched within the IF4TM project coordinated by the University of Kragujevac, and is being implemented in partnership with 17 other partners from six countries, funded by the European Union under the Erasmus plus program. 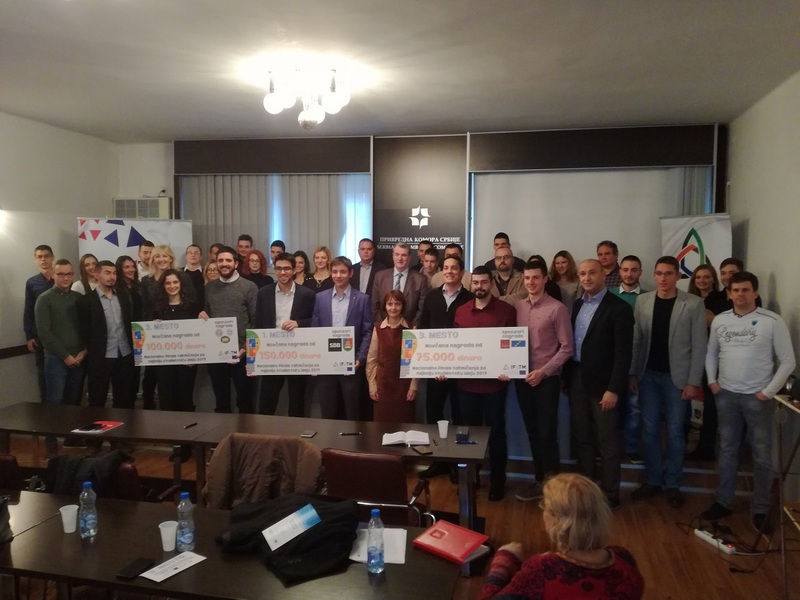 The competition is realized through seven local competitions in Kragujevac, Belgrade, Novi Sad, Nis, Novi Pazar and Zrenjanin and through the organization of the national final competition in the Serbian Chamber of Commerce. 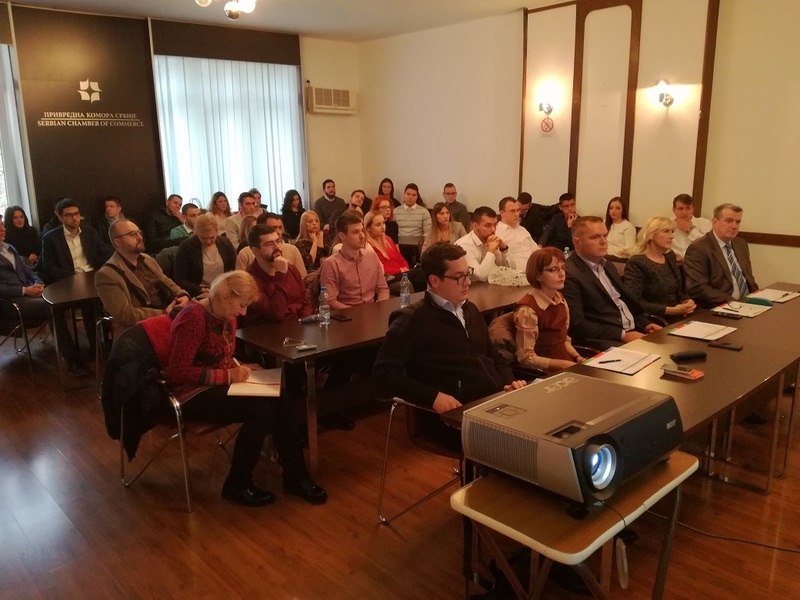 The organizers of the competition are higher education institutions, members of the project, as follows: University of Kragujevac, University of Belgrade, University of Novi Sad, University of Niš, State University of Novi Pazar, Metropolitan University Belgrade and High Technical College of Applied Science in Zrenjanin. Co-organizers of the Competition are three business incubators from Kragujevac, Belgrade and Novi Sad. The students of bachelor, master and doctoral studies at the University of Kragujevac, University of Belgrade, University of Novi Sad, University of Niš, State University of Novi Pazar, Metropolitan University Belgrade and High Technical College of Applied Science in Zrenjanin have the right to participate in the Competition.